February 2017 St. Francis Party Coming Up! Guess who will be joining us for this month's party? 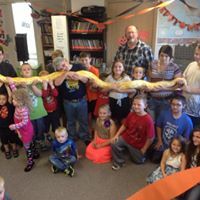 We are so excited to announce that the Reptile Man will be hanging out with the kiddos and putting on an hour long show! It's been a while since we have had him attend and we couldn't be more thrilled to have him join us again. Who doesn't love holding snakes, alligators, frogs and more! :) Stay tuned for more photos after the party! We had a fabulous party Sunday at St. Francis Shelter. We celebrated a 15 year old girl as well as 13 and 4 yr old boys! She loved her new guitar, make up and gift card and the boys enjoyed receiving shoes,a jacket, farm toys, gift cards, and basketballs! The Reptile Man was a HUGE hit and put on a spectacular show with lots of interaction with the kids. Smiles and laughs were here to stay! After the reptiles, we celebrated with animal balloons, cake, gifts and goody bags! Thank you to Tammy McCool for the adorable cakes and gifts, and Wynonna Kyle and son for gifts, photos, and lots of help! Thank you also to our balloon man. The children were lined up for an hour to receive such treasures! We appreciate you all! Check out the photos on our Facebook page! We celebrated an amazing birthday in December for two special girls at the St Francis Shelter. The children had a wonderful time! Thank you so much to the Assistance League of Salem for pre-making 30 plus gingerbread houses for all the kids and providing tons of candy to decorate the houses.Thanks also to Scott for volunteering. Kapi Lynn of the Statesman Journal was also there to write an article which will hopefully generate some donations for next year's parties. Thanks to all our supporters! Our fall birthday party at the St Francis shelter was a huge success! We celebrated the birthdays of 16 yr. old Austin, 17 yr. old Michael, 12 yr. old Matthew, and 1 yr. old Angel. The children had a wonderful time. Mindy, Cari, Shawnette, the West Salem Enhance Rotary students, Abigail from Central high, and the Ketcham family (who also brought gifts). A special thank you to the Assistance League of Salem for donating the goody bags and the fun craft the kids did. A big thank you also to Salvador's Bakery for donating an amazing cake again! October's Party at SOS was incredible. We celebrated a bundle of birthdays, six children, which is the most we have had in one month! A special THANK YOU to the Youth Exchange of Keizer Rotary (Jane and Kevin Mulholland, Dave Weaver, Joe and Shelly Egli, Jeff Kuhns, and Joe's two kids - Maddi and Noah), as well as a staff member friend (Lori Fowler) from Whiteaker Middle School. Joe led a funny game that none of had heard of before, and then we did a really silly - but fun - "find your farm animal group without talking" game. Thank you also to The Willamette students from Tokyo University who had a fun mummy game to play as well as a "rocks/paper/scissors Congo line" game. It was a blast! Lori helped the kids with the craft, decorating little Halloween boxes, and filling them with candy. Then came the cake and ice cream, and presents for 6 kids! It was great! The children and families were delighted and so thankful! Thanks everyone, we couldn't do it without you. September was a wonderful month of birthdays for us. We celebrated 11 year old Juan, 3 year old Landon, and 2 year old Destiny, along with about 18 other children. It was nice and warm out so we were fortunate enough to party outside! The children enjoyed lots of excitement with the egg relay race and pinata. Juan was so happy with his new clothes and shoes, in addition, Landon loved his skateboard. Little Destiny was all smiles with her new dollhouse and barbies. Thanks again to Salvador's Bakery for providing such beautiful and delicious cakes and pinatas! We had a great party at S.O.S. this month. We celebrated 4 year old Haley, 13 year old Cienna, and 18 year old Jose. The children enjoyed the pinata and all the goodies, but we were especially blessed to have pony rides for the younger children, thanks to Oregon Dream Ponies. Sunday, August 4, we celebrated two birthday boys, 10 year old Cameron and 2 year old Santos. The kids did crafts, painted, and made bead bracelets and necklaces. We finished with bingo where everyone won a prize! Cake and ice cream was a great treat for a hot summer day!. Thanks to Shawnette Scott and Salvador's Bakery, in addition to our volunteer Josue! We had a great party at S.O.S. in June. We were able to celebrate two birthdays and be entertained by the fabulous Reptile Man! The kids and families had an amazing time. The kids were all hands on with the reptiles, such a great experience. Our four year old birthday boy loved his Thomas the train set, bubble and color books. Our 7 year old birthday girl loved her two new dresses, sandals, and color posters! Thanks again to Salvador's Bakery for donating these delicious cakes! Check our album of photos! Beautiful sunny weather started off our party at St. Francis on 6/2/13. We celebrated four children! Chrissy, Paige, Kali, and Sebastian who all had a wonderful time! The kids loved getting their face painted by the talented Mary Ferguson. You were fantastic. We had a full house with nearly 18 kids attending who enjoyed decorating their own cookies! The birthday kids were all smiles and so thankful for their gifts! Hello Kitty was the favorite birthday theme. The kids were great and so fun to be around! As always, thanks to The St. Francis Volunteers, Salvadors Bakery for the delicious cake and to Shawnette Scott for her dedication and goody bags! We are so blessed to have you all. April's party at S.O.S. was full of children. We celebrated with approximately 24 children and our four birthday boys. The kids played balloon popping games, relay race and got to make their own bird feeders with rice cakes, peanut butter, and bird seed. Sticky and messy, but fun. The place was full of laughter and excitement … 11 yr old Jaden loved his new shoes and necklace. 6 yr old Jativo who liked his race cars, dinosaur, and books/markers.7 yr old Clifford enjoyed his Spiderman toys, learning flashcards and football. 8 yr old Gabriel received a new helmet and pads for his skateboard, as well as bey blades, and volcano kit. Thanks to Amy Taylor for all your hard work! The smiles are so worth it! March Party at S.O. S.
We celebrated 17 year old Kyle and 1 year old Sophia at our March Party on the 22nd. We were so thankful to have a great turnout of kids. The children enjoyed paddle balloon games and bowling! Kyle loved his gifts, especially the mp3 player and cordless mouse. Little Sophia was delighted with her new bath toys, phone, and ball popper. Thank you to the young women's youth group from the Church of Jesus Christ of Latter Day Saints of Salem and Turner, for sponsoring this party. The kids had a great time. Everyone loved the cakes from Salvador's Bakery! Thank you Ashely & Emily Laney, Megan Latham, Jeanie Shurtz and Heather Knight. Thank you so much to all of our volunteers and donors. The kids appreciate you and so do we! At our March Saint Francis birthday party we celebrated four birthdays - 2 boys and a set of twin girls! All four were under the age of 10. We decorated cupcakes, painted treasure boxes, and celebrated with cake and ice cream. All the gifts were donated by a lovely mother and daughter. Thank you Shawnette Scott, Hannah Worthington, and Gina Benavidez for your support, donations and help! Your generosity is amazing! Salvadors Baker 2, another huge thank you for the beautiful cakes! As always, all the kids had a wonderful time and look forward to the next one! We had a great time at St. Francis where we celebrated 11 year old Estephania. The kids were all laughs and giggles when they played the toilet paper mummy race game. They also enjoyed valentine bingo where everyone was a winner in addition to pin the candle on the cupcake and freeze dance! We were blessed to have girls from Willamette University Community Outreach Progam sponsor this party. Thank you to Paige Gorry, Clari Scheffer, Shoshana Jarvis, Hannah Froiland & Michelle Lashley. You guys were great! Thank you to Shelli Kern for the fabulous goody bags as well as Salvador's Bakery for their beautiful cakes! Last Friday was a great time at S.O.S. while we celebrated 8 year old Vanessa's birthday! The kids enjoyed a valentine themed party which included a heart relay race game, guess the candies in the jar, as well as the all time favorite valentine BINGO!. All the kids loved this and they all won great prizes. Vanessa loved her new Mp3 player and ear phones, as well as her littlest pet shop toys! A special thank you again to Salvador's Bakery for making the yummy and delicious cakes. Also thank you to Shelli Kern for donating her time and goody bags! You guys are the best! 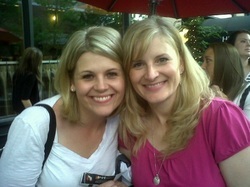 But our favorite surprise of all was our new volunteer/guest, Lauren and Annie Wilems. Lauren brought the birthday girl some special stuffed animals. In addition, Lauren had been working with her fellow classmates at school and raised money for our organization and gave us a donation of $300. Lauren, you are such and inspiration. We love your big heart! Because of people like you, we will be able to continue celebrating birthdays with these wonderful kids!